Source Soft Solutions is a leading UX and UI design company, delivering visually compelling and functional designs to clients across the world. From website designing, app designing, logo design to PSD conversion services, we believe in designing delightful user experiences for your brand's online identity. After all, great designs should not just look good, they should work well too! Why Hire Source Soft Solutions for UI/UX Design & Development Services? Over the last 10 years, we have earned a reputation for being the best UI and UX design company because of our creative versatility and design innovations. When we design User Experience (UX) and User Interface (UI) elements, our main motive is to deliver an amazing end-user experience. Our team ensures to adopt user-centric UX design and user-driven UI development methodology for every website or app we develop. Our highly skilled UX and UI designers create wireframes, mockups, and prototypes before designing the layout and other elements. Our main aim is to infuse soul into the designs we create so that they look appealing. Source Soft Solutions is the most prominent UI/UX design & development company that caters to the needs of all types of businesses, from start-ups to large enterprises. We handcraft beautiful UI/UX designs that meet the client’s vision and goals. 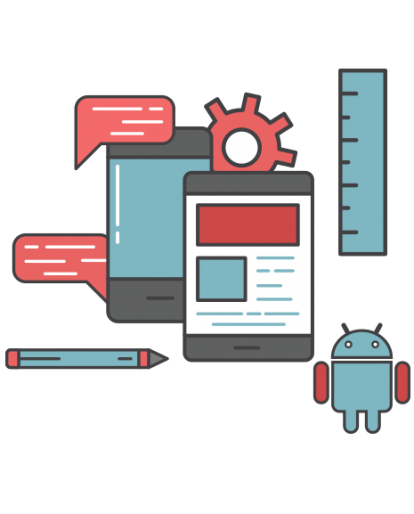 Our team boasts UX/UI strategists, website architects, mobile designers, visual designers, and graphic artists who are well-versed with the latest designing tools. Our team of expert designers adopts the standard best practices, workflows and client suggestions to deliver the product you’re looking for in the given timeframe. Whether you want to create a new website, design a mobile app, develop an eCommerce store or redesign your existing site, the final project delivered by our team will be functional and user-friendly. Source Soft Solutions’ UI/UX experts deliver modern, user-centric, and responsive design solutions. By using all kind of advanced technologies, we build customized UI / UX designs that are easy to navigate and make the user experience delightful. With our designed websites, mobile apps and online branding materials, we help clients enhance their online image and achieve their business goals. Have a glance at the range of the brilliant custom UI/UX design & development services project delivered by us.